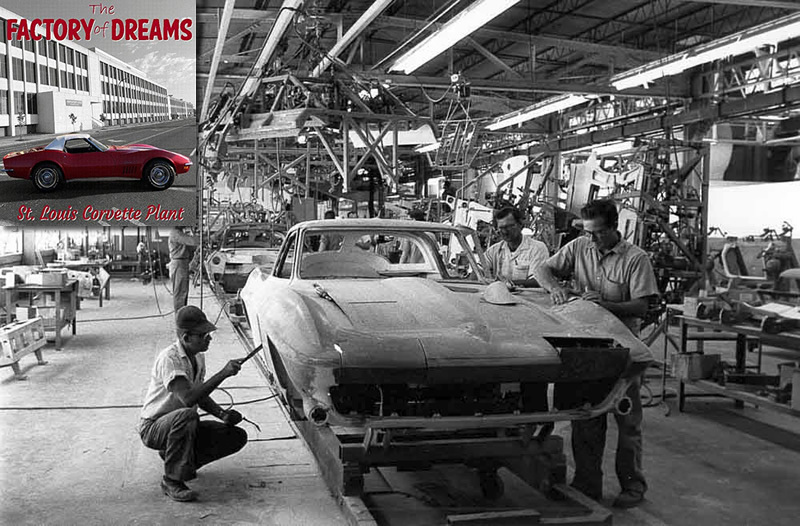 While the first three hundred 1953 Corvettes were built in Flint, Michigan, the St Louis Corvette Assembly Plant became the permanent home of the Corvette for 27 years before moving to it’s current residence in Bowling Green, Kentucky. Over the years, the St. Louis Corvette Assembly plant became one of the oldest and most out of date assembly plants in GM’s arsenal and the factory and assembly procedures remained largely unchanged across three generations of Corvette. However, for the many hundreds of United Auto Workers that worked there over those years, the Corvette Assembly Plant became home to them. One of those workers, Mike Dixon of Granite City, Missouri, released a book last month telling his story about Corvette assembly and UAW life at the St. Louis Factory. Dixon worked at the assembly plant from October of 1969, until 1981, when GM gave him the option of either moving to the Corvette’s new home or accepting a buyout. He chose to stay in Missouri and accepted GM’s offer. At that time, production of the 1981 Corvette was split between the two factories as some colors being built remained in St. Louis and some colors were moved to Bowling Green. On August 1, 1981, the St Louis Corvette Assembly Line came to a final halt, and the last Corvette to be built there, rolled out of the factory. Dixon decided to share his life and work inside the assembly plant with the world and as a result, his book, “The Factory of Dreams” was published. “The Factory of Dreams” written by Mike Dixon is currently available at Amazon.com.